Punnett's Square: Could Farm-Bred Foxes hold Information on how Dogs were Domesticated? Could Farm-Bred Foxes hold Information on how Dogs were Domesticated? In the 1960’s, Russian scientists started taking farm bred foxes and began breeding them to create more people friendly foxes. This resulting in a breed of foxes that are as welcoming to humans as most dogs would be. These foxes turned out not to be great pets as they are nocturnal, hard to become housebroken, and are just all around hard to live with humans. However, these foxes are perfect for studying to understand how dogs became domesticated. 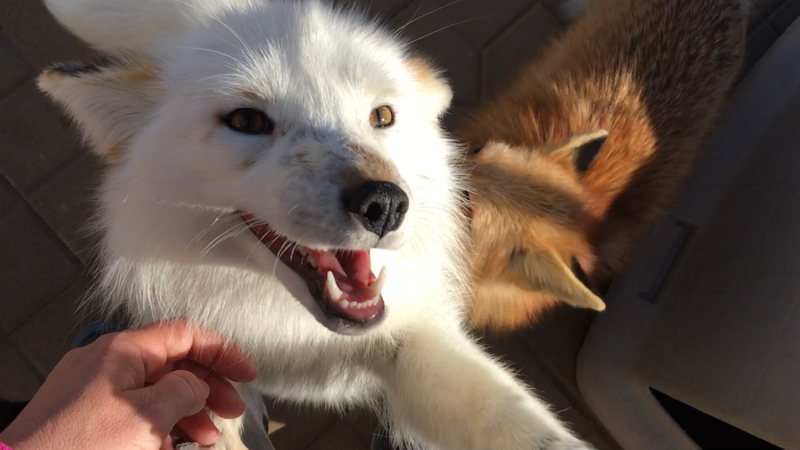 After collecting samples from these farm bred foxes and analyzing 103 genes that were most common in the human friendly fox breeds, the found one gene, called SorCSI that seemed to be the gene that caused the foxes to be more tamer in general and thus friendlier to humans. The reasoning behind this is that the gene controls how much of the brain communicates with itself. They aren’t fully certain that this gene is also what caused dogs to become domesticated but its being investigated in further studies using these farm bred tame-foxes. I found it hard to believe that behavior is linked to genes at first but after seeing the explanation that this SorCSI controls how much the brain communicates, it started to become more realistic in my eyes. Now I don't believe that if a fox or a dog has this gene than they are automatically friendlier to humans. However I can believe that if the brain can communicate more and faster than the primal instincts that make these animals hostile could be blocked in favor of other actions that are less aggressive. I would be curious to follow up on this research or at least a similar study that focuses more on why the foxes behavior is affected by this gene.